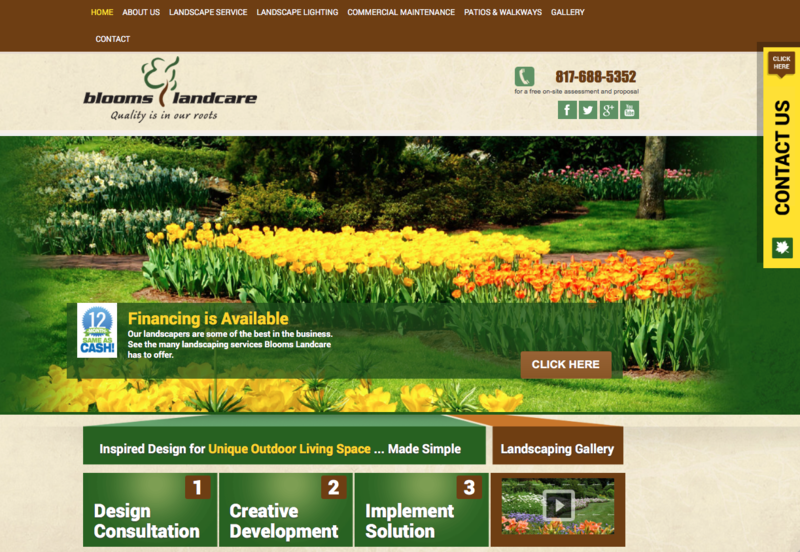 As a landscaping company, Blooms Landcare needed a more vibrant and mobile-responsive site to attract its target audience. Mobile responsiveness is more important than ever. Google has recently released a mobile-friendly update that gives mobile responsive sites better mobile rankings. If you are contemplating a redesign, now is the time. Advice Interactive is more than happy to assist you with creating a perfect new look that looks great on any device. We really aimed to simplify the overall design as well as cutting down the text clutter. We wanted the header to be eye-catching and bright with easy access to contact information. With this more focused header design, visitors are more likely to convert. When you consider a redesign, you want to create an enjoyable and easy user experience. We believe that with this much more to-the-point design we have achieved a layout that allows a visitor to navigate throughout the site easily. Having the information accessible leads to higher overall conversion rates. To improve user experience, we focused on streamlining content while still allowing fluid access to information that would increase overall conversion rates. 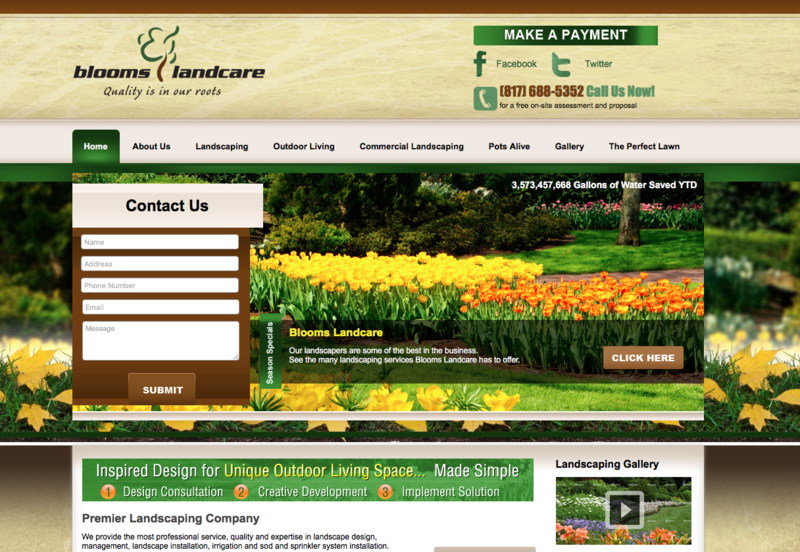 In the end, we created a simple yet elegant site design that reflected the brand and purpose of Blooms Landcare. If you are considering a redesign, there is no better time than right now. Advice Interactive can help you in refreshing your site and polishing your brand that will impress and translate into more income. Let us know how we can help you with a site redesign. Contact Advice Interactive Group at (877) 692-7250.